This past Sunday, my post indicated that Fleetwood Mac's Very Best Of album held on for a second week on Billboards Top 200 Albums Chart for the chart dated June 30th with the "The Very Best Of. This post includes the numbers for that week. During the week ending ending June 17th the album sold 3,589 units in the US up from 3,310 the previous week which is an 8% increase week over week thus moving the album from #166 to #163. Total sales in the US to date = 1,486,881. 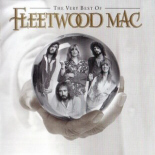 Fleetwood Mac's The Very Best Of moved down to #32 from 27. Rumours was static on the chart hanging onto #134 for the week but sold 11% more albums vs the previous week. Sales were 1,906 units vs 1,718 for total sales in the US since November, 1991 of 2,963,387. Fleetwood Mac's Greatest Hits also increased in sales by 14% selling 1,851 copies vs 1,617 the previous week and moved up the chart to #144 from #147. Fleetwood Mac's Rumours sold 847 digital copies vs 915 the previous week declining in digital sales by 7% moving from #73 to #87. Fleetwood Mac's Greatest Hits was flat moving 806 copies vs 808 the previous week but moved down the chart to #101 from #97 on the previous weeks chart. The latest Billboard Chart will have Fleetwood Mac's The Very Best Of hanging on yet again marking it's 3rd week on Billboards Top 200. The album drops to #181 from #166 the previous week on sales of 3,134 units vs 3,589 the previous week or a 13% decrease in sales. Total sales to date = 1,490,015. Fleetwood Mac's The Very Best Of moves down to #37 from #32 last week. 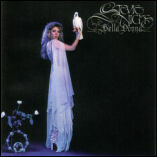 Stevie Nicks 1981 debut album Bella Donna zooms up the chart re-entering at #76 on sales of 2,235 units vs 1,168 the previous week or a 91% increase in sales. Total sales for the album since November, 1991 = 886,711. Fleetwood Mac's Greatest Hits increased in sales by 20% selling 2,222 units vs 1,851 the previous week moving up to #78 from #144. Total US sales since November, 1991 = 4,556,122. Rumours moves up on the Catalogue chart as well to #107 from #134 on the previous chart on a 4% sales increase or 1,991 units vs 1,906 the previous week. Total US sales since November, 1991 = 2,965,678. Fleetwood Mac's The Very Best Of moves from #9 to #7 this week. Rumours re-enters this chart at #163 on physical sales of 1,139 vs 1,059 the previous week or an 8% increase. Stevie's Bella Donna moves down the physical albums chart to #198 from #163 last week on physical sales of 1,011 vs 1,099. Stevie Nicks' Bella Donna sold 1,224 digital copies during the sales period ending June 24th vs 69 digital copies the previous week allowing the album to enter this chart at #56. The bump in digital sales can surely be attributed to the Amazon mp3 album deal that was going on. The digital album was listed for $2.99 for over a week. Fleetwood Mac's Greatest Hits should get a further bump in digital sales this week as it's now listed at $2.99 on Amazon for the week. During the sales period ending June 24th the album sold 1,397 digital copies vs 806 the previous week or a 73% increase in sales moving from #101 up to #42. Rumours was flat in sales selling 851 digital copies vs 847 the previous week. The album moves down the chart to #107 from #87 the previous week.